In Ventura, you can go to the beach, go antiquing, and or do some outlet shopping. It's the perfect destination for sun worshippers, beach bums, marathon shoppers, and food lovers alike. For a getaway from the hustle and bustle of the big city, head about an hour's drive north of Los Angeles to start your Ventura day trip. Why Should You Go? Will You Like Ventura? Some Southern Californians call Ventura a more reasonably-priced version of Santa Barbara. It's easy to draw parallels: both have a scenic, seaside location and a historic Spanish mission. Ventura has a more easy-going ambiance than Santa Barbara and is much easier on the pocketbook, too. 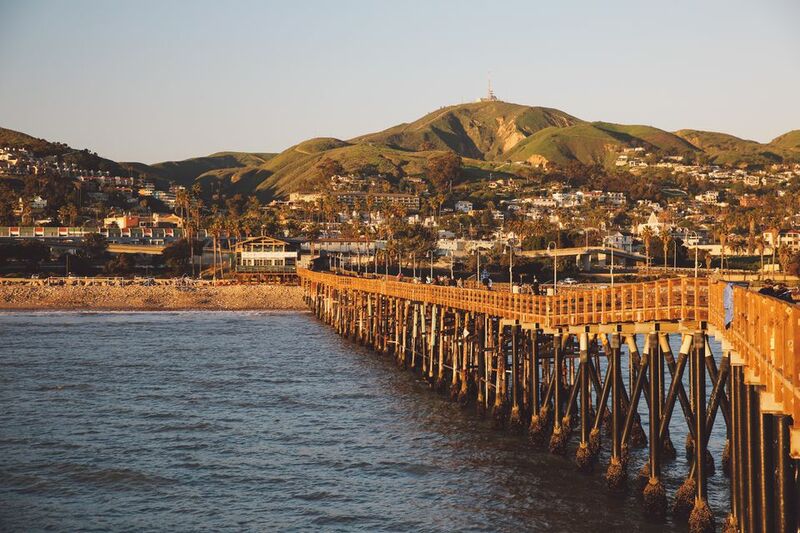 Save some money without compromising on beach time; Get that California beach town charm by going to the many places to visit in and around Ventura. Channel Islands National Park: It's surprising how many people don't know about these offshore islands that are so rich in unique species that they could be called California's Galapagos. It's easy to visit them by boat on a short day trip, and you might spot a few whales or dolphins on the way. Mission San Buenaventura: Mission San Buenaventura is one of California's few remaining Spanish missions that were never destroyed and the last mission founded by Father Junipero Serra. It's right on Main Street in downtown, making it easy to visit if only for a few minutes. Downtown Ventura: There's more in downtown Ventura than just the mission, everything from second-hand stores and antique shops to restaurants, art galleries, and day spas. Waterfront: Ventura sits right on the Pacific coast, and you can go to the beach here, go boating or windsurfing, build a sandcastle or catch a fish. Use this guide to find your perfect Ventura Beach. Bell Arts Factory: It used to be a mattress factory. In fact, the sign out front still says so, but these days it's home to some good artist's studios. The Ventura County Fair happens every August. From late January through early February, the tall ship Hawaiian Chieftain visits Ventura. You can tour her from dockside, watch her engage in mock battles, or sail with her from Oxnard to Ventura — or even all the way to San Francisco. Check the schedule and reserve ahead of time. If you're a nature lover, monarch butterflies move into the trees at Camino Real Park (Dean Drive at Mills Road) from October through February. The best time to see them is in the morning when the sun hits their trees. That's when you can watch them wake up and flutter off. Whales are around for more of the year: Pacific Grey whales are off the coast from late December through the end of March. Humpback and Blue whales appear from late June through August. You'll find whale-watching tours departing from the harbor. The Dallas Cowboys football team holds their training camp in nearby Oxnard, and you can watch them practice for free during July and August. Get this year's schedule at the Dallas Cowboys website. Hotels cluster along U.S. Highway 101 near the pier, around the Marina Village Shopping Center on the north side of town, and near the harbor. Stay as close to the water or as close to town as you like. Ventura has plenty of options based on the type of weekend and the activities you have planned. You can go straight to Tripadvisor's guest reviews and price comparisons on hotels in Ventura. Ventura is also one of the better places in California to find a place to camp near the beach. Use the Ventura beach camping guide to find the place that's best for you. Ventura is located on U.S. Highway 101, 70 miles north of Los Angeles and 30 miles south of Santa Barbara.